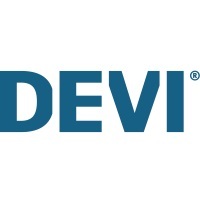 The DEVI Smart App is freely available to everyone. You can ask another person eg. an installer, to download the App and follow the App’s guide on how to connect it to your DEVIregTM Smart. You chose [Share House] and tell the code to the assisting person. The assisting person must enter this code under [Receive house] within two minutes from the code were given. Doing this will transfer your settings to the assisting person, supporting you. You can remove App connections on the DEVIregTM Smart at any time, under [Settings] and [User administration]. Removal is required for each individual thermostat.